At the end of January, nominations were announced for the 49th annual Academy of Country Music Awards. The Academy recognizes the best artists, songs, venues, and more in the country music field. We’re thrilled to say that American Music Theatre, well-known for bringing to Central PA, has been nominated for a 2014 ACM Award in the Venue of the Year, Small Capacity category. 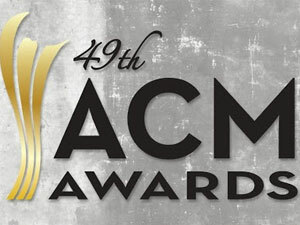 The winner, Austin City Limits Live @ The Moody Theater, was named during the 8th Annual ACM Honors event in September. [This is the category AMT was nominated in.] This award is presented to an outstanding venue, with a maximum capacity of 4,000 seats, selected by a professional panel of judges. The panel will submit five (5) nominees, which will be placed on the ballot once approved by the Board. The venue must have bought or promoted at least five (5) country concerts/dates during the prior calendar year, be in good standing with all agents and help promote country ticket sales. This award is presented to the individual, duo or group who showed the most overall success in the country music industry during the prior calendar year. The factors to be considered include, but are not limited to, success at radio, sales of pre-recorded music, success of music videos, vocal performances, live concert ticket sales, artistic merit, appearances on television, appearances in films, songwriting, success in digital media, and contributions to the country music industry. This award is presented to the primary artist(s), producer(s) and record company of an outstanding country music album released during the prior calendar year. An album is defined as a unified released body of work with a minimum of either seven (7) full-length musical works and/or thirty (30) minutes in length. This award is presented to the songwriter(s), publisher(s), and artist(s) of an outstanding country music song during the prior calendar year. The factors to be considered include, but are not limited to, success at radio, record sales, success in digital media and impact of the song on consumers and the country music industry with emphasis on the creative integrity of the song. This award is presented to the producer(s), director(s) and artist(s) performing in an outstanding country music video during the prior calendar year. Emphasis shall be placed on creativity, production, visual appeal and impact on consumers and the country music industry. To view the Academy of Country Music’s complete 2014 Awards Voting Criteria, click here.